The Mexican restaurant in Port Douglas is a real treat. Of an afternoon there is nothing better than to relax at this place and sample some of the amazing food on offer. Whilst this restaurant does offer a dinner menu, the afternoon tapas style grazing menu is totally unique. I am not a fan of Tex-Mex cuisine, thankfully the tasty food here is very far removed from Tex-Mex. The chefs have created really clever quirky and unusual dishes with a Mexican theme. The chefs here source the very best in local produce and it really makes a difference to the food on offer. Local fish appears for the fish taco, local fresh vegetables and fruit appear in the salad components of the meals. You can tell that the owners are passionate foodies. The meals we tasted were really delightful and surprising. In addition the bar staff specialise in unique margaritas using fresh local tropical fruits. Of course the type of Margarita featured depends on the seasonality of the tropical fruit. Fortunately there are tropical fruits on offer all year round so the variety is huge. If you like a traditional margarita then you won’t be disappointed by the Mexican. They deliver on every level and delight in doing so. The prices here are very reasonable considering the quality of the food and beverages that the restaurant serves. The owners of this establishment are hands on that means the care with the food and the genuine hospitality of the staff are a given. The way the restaurant came about its name is quite interesting. The Mexican was originally called Tortillas. However most of the locals referred to it as the Mexican. 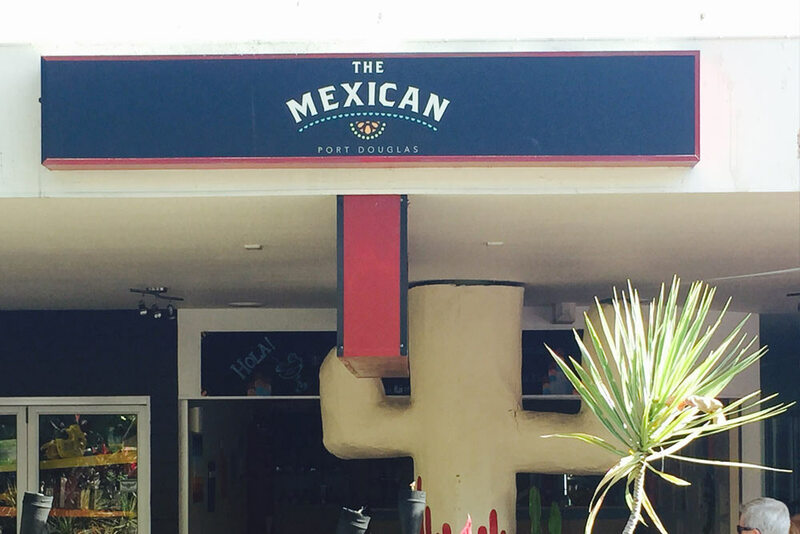 When the current owners purchased the restaurant, they decided to call it The Mexican because that is what all the Port Douglas locals called it! This entry was posted in Food, Restaurants and tagged amazing food, churros, Margarita, nachos, taco.